I moved to San Francisco right out of college in 1989, and was raised in the shadow of it, an hour down the peninsula in San Jose. The City (capital C, of course) was, by the time I was moving in, consumed by an AIDS crisis that was killing young men in the low hundreds every single month. I lived in the Haight-Ashbury, just blocks from where "FAIRYLAND"'s author Alysia Abbott grew up with her gay poet/writer father, Steve Abbott – and where she was caring for him as he died from AIDS as well. It was a weird time. San Francisco is such a gay city, and AIDS activists and organizations and marches and hospice care fundraisers were everywhere at that time. The documentary film "We Were Here", which is excellent, tells the story very well. As a non-gay male whose main and almost exclusive interests in the early 90s were rocknroll, record collecting and starting my work career (such as it was, as a customer service rep at Monster Cable), I found the AIDS crisis both easy to ignore and impossible to get away from. I wanted to read Abbott's book to get a better sense of her San Francisco, the one I lived in or near for much of the same time, and at the same age (early 20s) – but also because her memoir of growing up in a loose, ever-shifting sort of bohemia with her dad sounded like a terrific ride. It was. "FAIRYLAND" is a memoir that I recommend to anyone unconditionally. Primarily, Abbott tells an excellent chronological tale of her girlhood, teenage years and young adulthood in a non-maudlin, often self-effacing and extremely loving manner toward her father, who raised her on a wing and a prayer all by himself. Her parents were educated and radical grad student activists and hippies in Atlanta who married young, lived fast and, in her mother's case, died very young. They married despite her knowledge that her husband-to-be was bisexual and, as it turned out, later to be exclusively gay. In fact, Steve Abbott was radicalized by Stonewall in 1969, so we're talking about someone who was "out and proud" very early, to his credit. Alysia Abbott writes very well, piecing together her father's recollections and journal entries, of her young mother's struggles with her new husband's boyfriends and about the almost monthly personal growth she was undergoing from 60s wild child to somewhat responsible mother. That said, Alysia Abbott pulls no punches throughout this book on the shortcomings of her parents, and more importantly, those of herself. The pain she feels even writing about her teenage selfishness and her naive/fearful neglect of her lonely and eventually dying father, without her even having to say it, is obviously immense, and she reprints letters that she wrote him that must have been painful to re-read 20 years later, let alone share with the world. It's also clear that she was, on the whole, a wonderful and loving daughter, and the true light of her dad's too-short life. Steve Abbott is painted as a complex but exceptionally good-hearted man, one who was sure of his sexuality and creative calling as a poet/artist/bohemian, yet who struggled with feelings of self-worth and with loneliness. You wonder, as Alysia does, what their life might have been like had her mother Barbara lived. Would it have even been together? Not likely – but it is possible it would have made for a different, but equally good book. The dissonance of being a gay man raising a daughter in free-swinging, liberated 70s and early 80s San Francisco must have been a minefield. Alysia Abbott writes of how jarring it was for her, simultaneously embracing her father's friends and lifestyle while often yearning for the quote-unquote normal childhoods she saw on TV and that she observed in her friends. Think, though, of Steve Abbott's uniqueness as a gay dad, back in a time when no one had a gay dad that they lived with. Marriages would instantly dissolve when one parent came out as gay in the 70s, and the children would almost always be placed with the straight parent. This was not an option in the Abbott household, nor would either of them ever wished for any alternative but the one they were given. Steve Abbott often found himself on the periphery of the gay community, wanting to be more active, to date more, to go out more - and yet wholly devoted to raising his daughter in the best ways he knew how. The memoir also does a terrific job recounting young Alysia's humorous experiences with many San Francisco-centric touchstones: the poetry readings and internecine warfare amongst the literary set; "The Quake", the new wave/Rock of the 80s station that we both listened to in the Men Without Hats era; the gay scene in the Castro and at Café Flore; and the dawn of grunge in the Haight, with gutter punks, skinheads and street kids and late nights at the I-Beam and Nightbreak. That I myself was very much present for. I even drove past her old place at 545 Ashbury the other day while in the midst of reading the book, to get a better frame of reference for her San Francisco – wow. Regardless of her father's sexuality and their life circumstances, there's little doubt that her childhood would have had major and significant differences from mine in the safety and comfort of suburban Sacramento and San Jose. It's touching and powerful when you realize toward the middle of the book that the "differently-parented" Alysia Abbott writing the book did not have to go through a crucible of drug use, depression and inner pain to write a memoir as powerful as she did. In fact, she seems to have turned out just great. She benefited from summers-long stints at her grandparents on her mother's side's house in Illinois, which provided her with a more conventional worldview to balance out her otherwise very unconventional youth. She was placed into a first-rate private French school, one that is still there now. 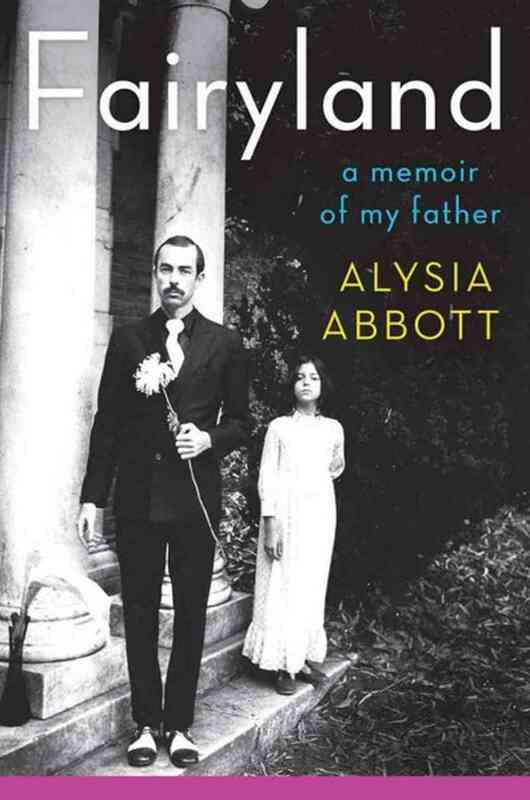 Finally, Alysia Abbott had her father, who – cliché as it may be for me to write – helped shape her into the person and the writer that she is today. Her book ends with Steve Abbott's inevitable and exceptionally sad death, though she does not milk it any more than is necessary to cleanly wrap up this coda in her tale, and ends the book with a short epilogue that ties the story into an elegy for the many, many men that were dying in horrible ways across San Francisco in the 80s and 90s - when many of us were looking the other way. It's a powerful piece of writing, and a terrific memoir that succeeds on just about every level.